We are in the middle of Aronia Berry harvest at the farm. Yields and quality are high this year, due to the abundant moisture. 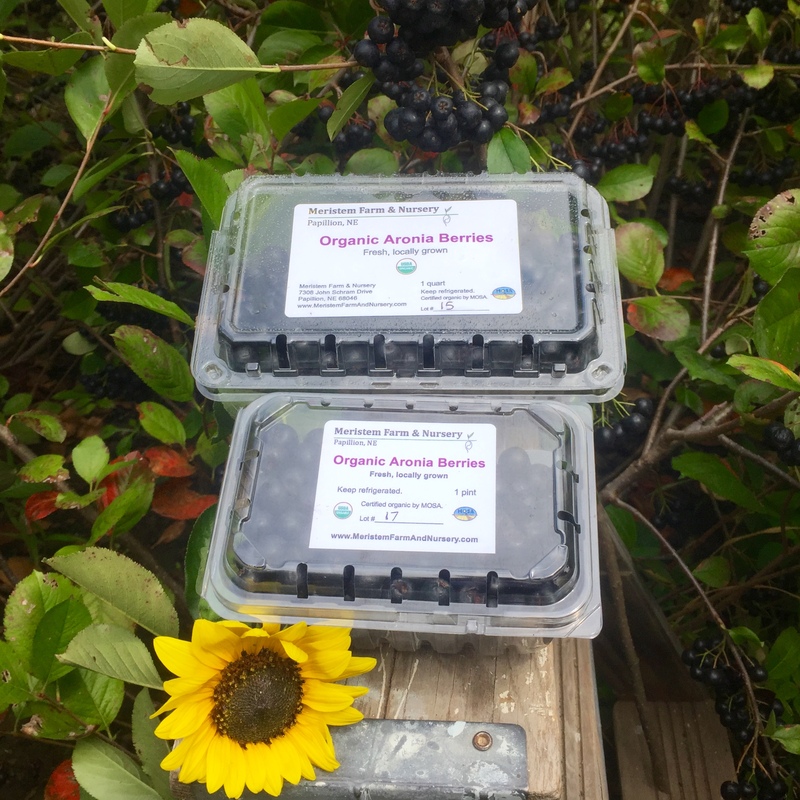 We are offering the fresh-picked organic berries in quart and pint sizes at the following markets in the Omaha area: Aksarben Village (Sunday 9-1), Papillion (Wednesday 5-8), and Rockbrook Village (Thursday 4-7).